Brittain Prigge, CFA is Balentine’s President and Head of Relationship Management. A founding partner, she also sits on the Management Committee, helping steer the strategic direction of the firm. Brittain began her career with Merrill Lynch, Pierce, Fenner and Smith. In 1994, she joined Balentine & Company and became a partner in 2001. 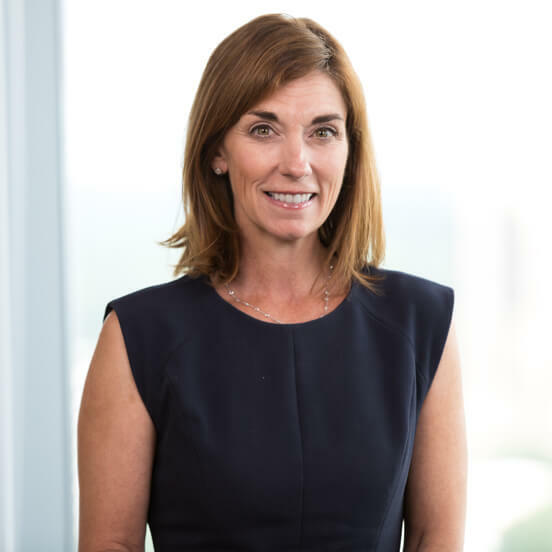 Brittain continued with Wilmington Trust after Balentine & Company’s acquisition in 2002, where she managed Wilmington Trust’s investment advisory practice in the southeastern United States. In 2014, Brittain was named one of the “Top 100 Women Financial Advisers” by the Financial Times in its inaugural list; Brittain was one of only two advisers representing the state of Georgia and the only Georgia adviser from an independent Registered Investment Advisor (RIA) firm. I knew that in a bank I could not help people in the conflict-free way I felt was most appropriate. In November 2009, I chose to help start Balentine because I believed we could create a wealth management firm that managed money the way that we would manage our own. Plus, I didn’t want them to do it without me! I never dreamed it would be so hard or so rewarding. What was your best business decision? Going to work at Balentine & Company in 1994. What is the toughest business decision you’ve faced? Three months after I started at Balentine & Company, Robert Balentine put the bond notebook on my desk and asked if I wanted to be the bond trader—I had to decide in three seconds. Despite being incredibly nervous, I said “Sure!” I was the bond trader for about six years, and it was an incredible learning experience. What do you think makes Balentine different from other wealth management organizations? We truly have the clients and what is best for them at the center of every decision. There is a passion and demand for excellence that I don’t think exists in the same way anywhere else. What do you like to do in your down time away from work? Take on my “other job”—mom and wife to three wonderful guys. I watch a lot of football and baseball games, and I wouldn’t have it any other way. What is your favorite sport or activity? Why? It’s a tie between football and baseball. Football is such a team sport, and the great teams work as one with everyone knowing their job. Plus, I admire everything about Nick Saban’s process and love Alabama with all of my heart. Baseball because my boys love it, and I love watching them play. I Want a Divorce… Now What?